2. Steam Cook the pieces. 3. Heat Oil in a pan, splutter mustard seeds, add curry leaves, chopped green chillies and chopped onion and fry until it turns golden brown. 4. Then add boiled carrot and salt. 5. 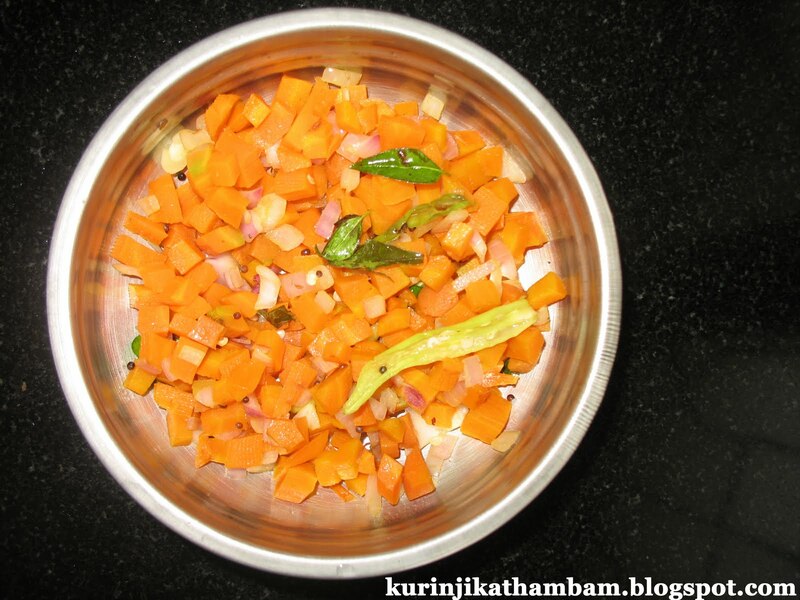 Mix well then add grated coconut to it and fry for 3 mins. Hint: If you steam cook, the color of the carrot will not change. But if you cook by adding water, the color would reduce.